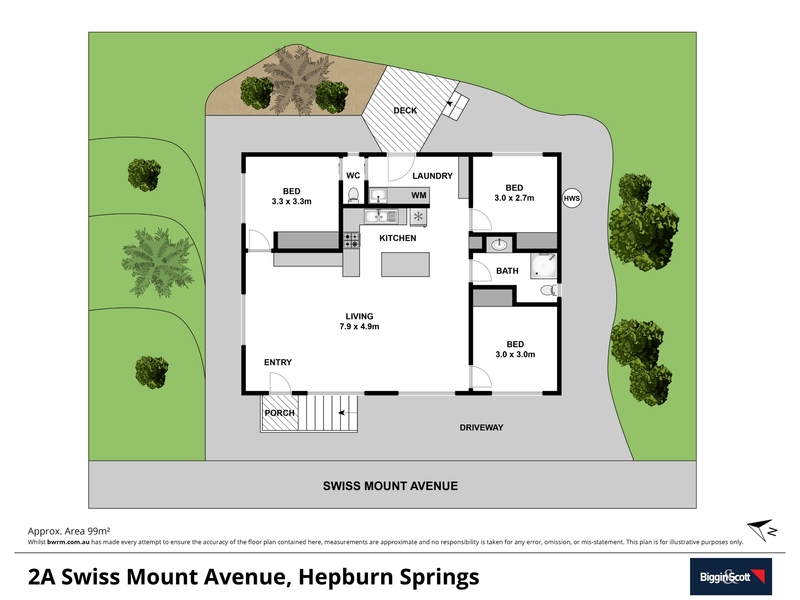 Situated in a highly desirable pocket in Hepburn Springs this “Passivhaus” has been designed and built to a high-level German standard, equivalent to 10+ in the Australian ratings. The design of the home ensures that it is completely airtight from the outside climate with high level of insulation (underfloor, in roof and in walls), triple glazed windows and doors and an air exchange system providing active ventilation making it a very clean airspace. This remarkable residence provides 3 bedrooms, 1-bathroom, 2 wc’s, modern open plan kitchen/dining/ living with large panoramic windows looking towards Doctor’s Gully, reclaimed timber floorboards, electronic external blinds, split system heating/cooling and would be perfect as a permanent residence, holiday accommodation or the ultimate energy efficient country weekender. Inspections are available as advertised online and available by private appointment by request.